Theorist David Joselit argues that art has moved away from a paradigm of form expressing content and rather toward artistic output via formats which he calls “dynamic mechanisms for aggregating content.” In our image culture, all aspects of a work of art may be appropriated, recognizable, or preexisting. The novelty of a format is how these components devise a web of connections in the artist’s own way, comprising structures of both display and thinking and critical outlooks on political scenarios. Mining the infinite supply of content already out in the world doesn’t stifle free-association, but encourages it. It’s an outplayed trope to say that we live in a fast-paced era accelerating at unmatched speed. After all, what era hasn’t felt that way? These artists’ formats are native to high-output mentalities, so rather than the clichéd bewilderment with our present, they focus on the possibility of absurdity and humor perhaps with a nuance of the high-anxiety of current politics. It’s too easy to take the cynical stance that in (post-)postmodernism, anything can be art. But rather more hopefully (especially in our bleak political landscape), anything can be made art through the right format. 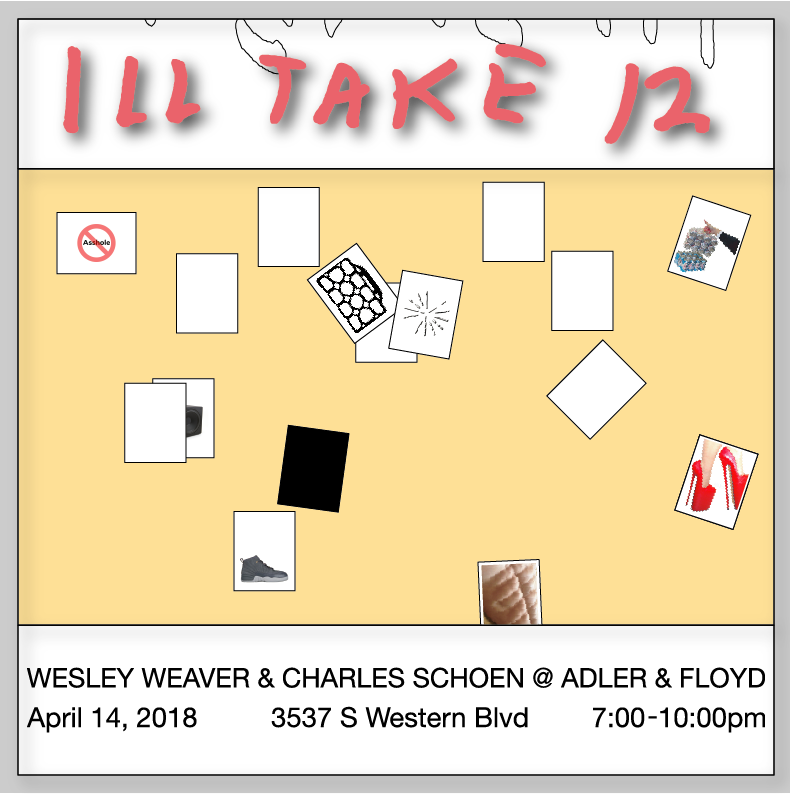 Below are selections from Charles Schoen’s artist books, which viewers were welcome to flip through while sitting on the sculptural furniture.